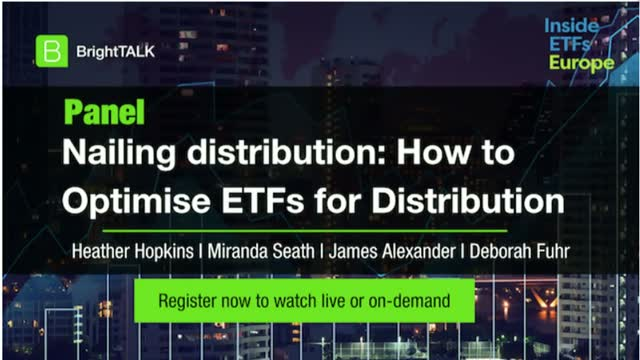 Join this live panel discussion with experts at Inside ETFs Europe for up-to-date trends & strategies on what's driving maximum distribution. This live panel will be streamed directly from Inside ETFs Europe in London! Join us for live Q&A from the comfort of your desk.